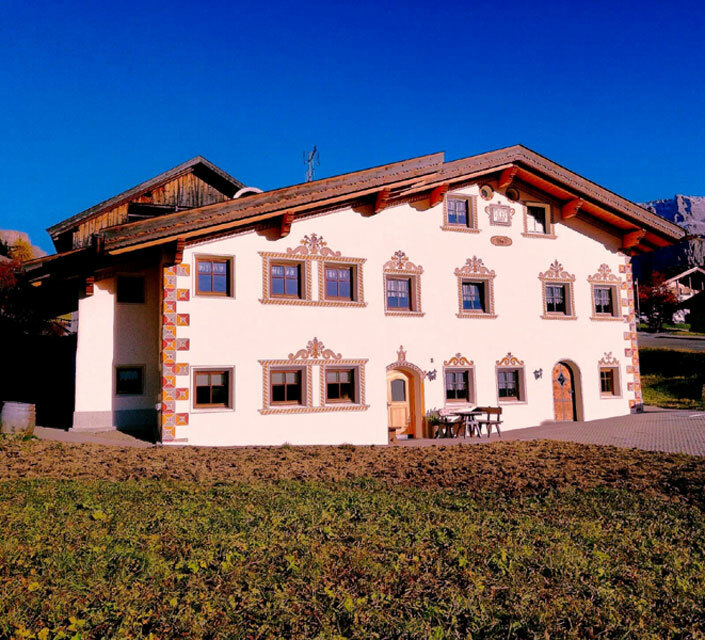 Ambach Mussner family is pleased to welcome you and wishes you a pleasant stay in its home in Selva Val Gardena. Our home is situated in a very peaceful and sunny area, surrounded by green lawns. It is located at 600 meters from the town center, along the promenade of the old Val Gardena railway: an ideal point of departure for an excursion in our beautiful Dolomites. Barbecue facilities are at our geusts’ disposal. Our place is made up of two apartments, accommodating four and two people respectively. Our home, an ideal place for your winter holidays, is located at 30 meters from the ski bus stop, so that you can easily reach the Ciampinoi cableway (two stops) or the slopes for beginners. To come back home, just follow the skiing path and you will be back in minutes. Outdoor parking, ski storage service and ski boots drier are availabe.